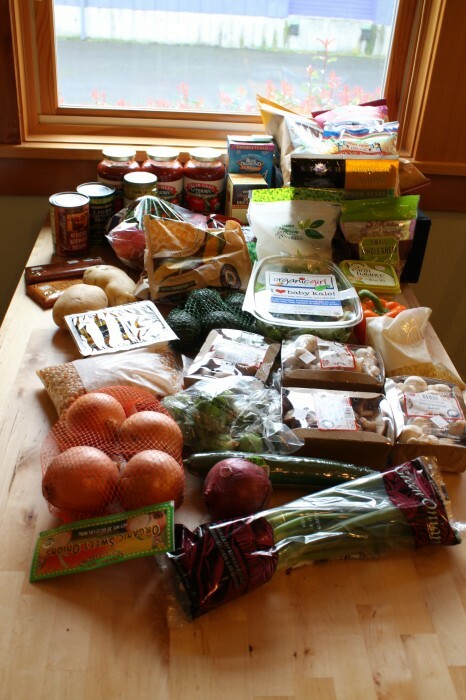 I hope you have been enjoying this series so far on our budgeting plan for groceries. If you need to catch up here is my first post on buying Conventional v. Organic and my second on how we set a budget. First things first here is our meal plan for the coming week. I have decided to try grocery shopping on Thursdays so that we can leave our weekends free to do other things. So these are our planned dinners and potential lunches based on leftovers. For breakfast most mornings will be oatmeal, chia pudding or quinoa hot cereal. When I decided to go grocery shopping this week I decided to check the local flyers and found that New Season’s is having a huge birthday sale so there were a lot of good deals to take advantage of. I also took our pizza party into consideration and decided that Trader Joe’s had a number of the items I needed for this as well as for a few other recipes. Now we had planned to try out some new stores this week but based on sale flyers these seemed to be the best based on our menu for the week. So here is the breakdown of what I purchased and spent. Note we had groceries leftover from the previous week that are also being used in our meal plan and are not included in expenses. As you can see we are $24 under budget for the week! That is a huge success and honestly I don’t know the last time we spent under $100 for a weeks worth of groceries. Now I know I have some items leftover from this past week but I’m still pretty proud of myself that things worked out this way. As you can see we made a second New Season’s trip and that was due to my forgetting to put a few things on the list and Edith being a bit wild when I took her grocery shopping with me. I am actually thinking that I might try going grocery shopping after dinner on Thursdays so that I can go alone. Man… this is awesome Lindsay! I love that you broke everything down. I used to be really intentional with our meal planning and then life got soooo busy. Now I am terrible at it. But, seeing those numbers reminds me that if I am intentional and smart about meal planning I can eat food that I want while not spending over my budget. I let myself go with meal planning and am so glad to be back at it. I seriously see a huge difference in our use and waste of items because I actually have a plan. We make an effort to eat what we want but also know that sometimes we have to be a little more conservative with our meals (aka some nights it’s beans, greens and grains because it’s cheap). I’m loving the budget posts. 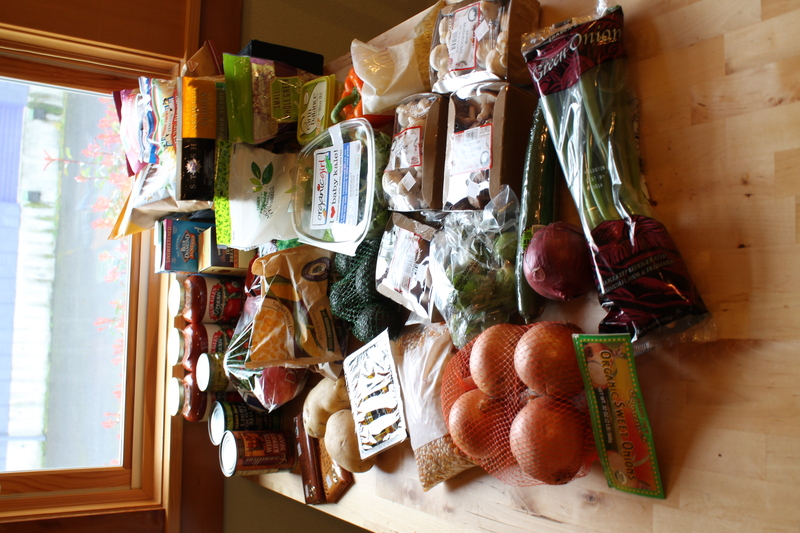 We are trying to really cut our grocery bill as well, and I thought getting under $150 was really awesome this week – under $100 is amazing! Great series! Cutting our bill has really been (and still is) a process but I want to eat well and cut back on the expense it’s just getting a little crazy! Under $100 for groceries is SO fantastic. I think I’ll make that my goal next week (plus, Tyler’s gone so we won’t need as much food haha). I can’t believe Earth Balance is so expensive (same price around here too), but I can’t not buy it because it’s too darn useful!!! We lucked out because we still had a bit of stock of things so this doesn’t happen very often! Oh and yes Earth Balance is a MUST!!! What is popcorn without it?